Working alongside Nature Conservancy scientists as an intern last summer opened Jomar Velez's eyes to the variety of science careers he could pursue, says the 17-year-old. So after Jomar graduates from the Urban Assembly School for Wildlife Conservation in New York City later this year, he'll go on to major in biology under a prestigious scholarship at Franklin & Marshall College in Pennsylvania. 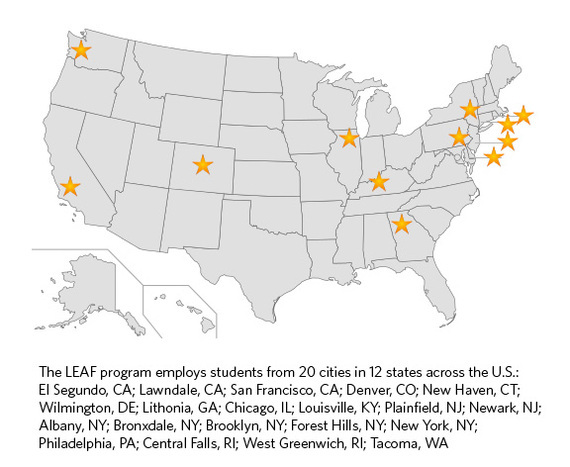 The Nature Conservancy's (TNC) high school internship program--LEAF, or Leaders in Environmental Action for the Future--has left that kind of impact on 892 teens since TNC founded the program in 1995. 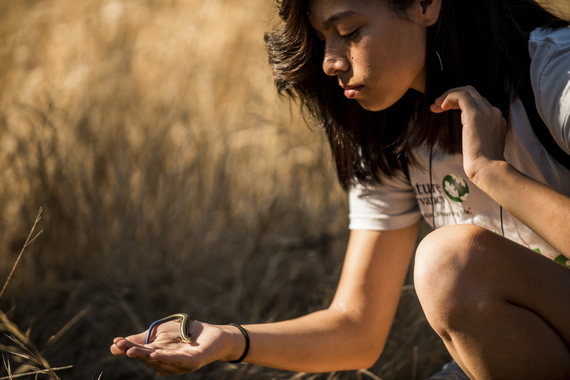 Through LEAF's paid internships, high schoolers learn from TNC's professional scientists and naturalists and participate in field work ranging from water quality testing to bird banding. For many of the teens--who live in cities--the program provides an opportunity to meaningfully interact with nature for the first time and gives them a chance to learn about careers in science. 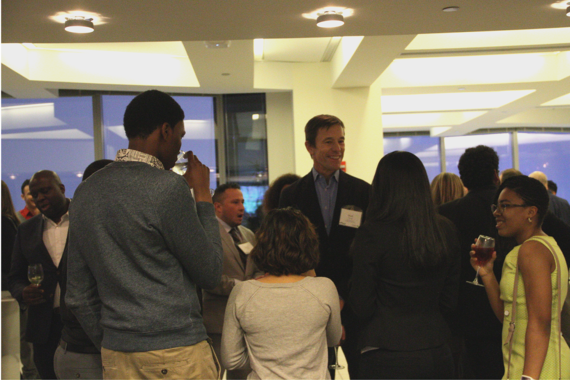 I was honored to speak at a graduation ceremony for our most recent cohort of 138 LEAF interns last week in New York City. I'm proud of their hard work and impressed by their dedication to the environment. That kind of passion is critical as conservation challenges grow larger and more complex. The environmental movement needs engagement from people of all ages and backgrounds--including those who live in urban areas. Many of the LEAF students I met will study science in college. 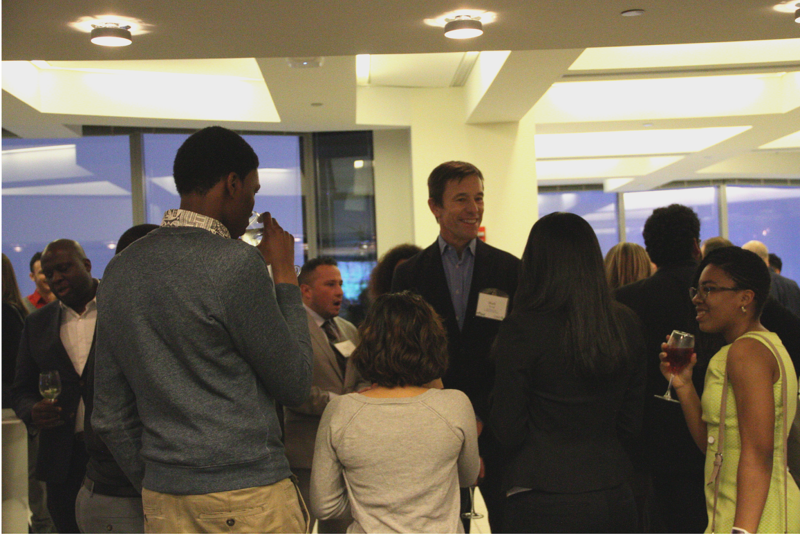 More than one-third of our alumni go on to major in STEM fields--science, technology, engineering or math. That's more than five times greater than the national average of 6%, according to government reports. 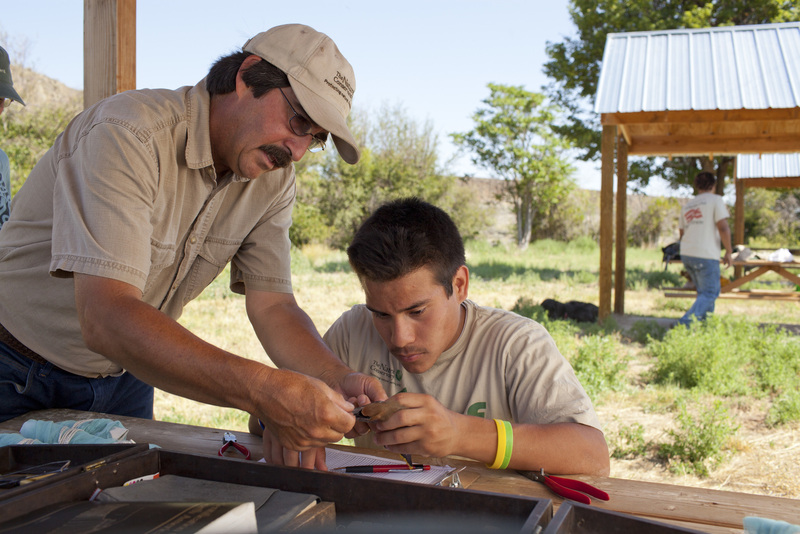 Getting more teens interested in STEM fields is essential for fostering the next generation of conservation leaders. "Every week we worked on a different project, so we got to see a variety of things. You discover so many career paths you can take," says Fazena Bacchus, a 2009 LEAF alumna who this year will graduate from college and begin a water resources engineering career. "That's the great part about being in the LEAF program--being able to say, 'I can choose my career.' 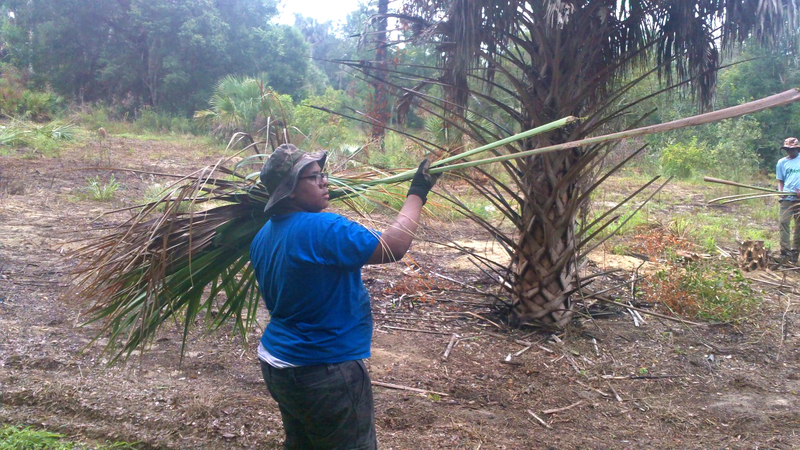 "
I urged the graduating teens to continue making nature a part of their lives. And I'm confident many of them will--more than half of our LEAF alumni later volunteer for environmental causes in their communities. That's 10 times greater than the national rate for teens and young adults. Stories like Jomar's and Fazena's illustrate the impact nature can have on students' lives. That's why TNC is investing in LEAF and our other youth engagement initiatives. Although LEAF started in New York City, we've expanded the program to 11 other cities across the U.S.--from Atlanta to Los Angeles--and we hope to soon grow internationally. Our youth engagement portfolio now includes digital resources for educators, volunteer opportunities that help youth tackle environmental problems in their communities and conservation career pathways such as LEAF, our college internship program and post-college fellowships. One student at a time, we're empowering a new generation of environmental stewards who understand the value of investing in nature.